1. The Nail Polish is clear base with plum flower glitter. 3. The great ingredient list contains no DBP, toluene , or added formaldehyde. Totally toxin-free. 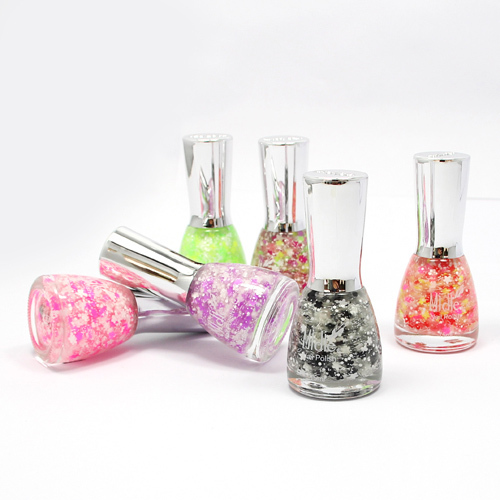 Looking for ideal Glitter Nail Enamel Manufacturer & supplier ? We have a wide selection at great prices to help you get creative. All the New Glitter Range Nail Polish are quality guaranteed. We are China Origin Factory of Long-lasting Nail Polish. If you have any question, please feel free to contact us. Copyright © 2019 Zhejiang Zhongyimei Industry Co., Ltd All rights reserved.